Martin County’s FREE music series is here to rock your summer with a concert that will transform your Sunday into a FUNday!!! 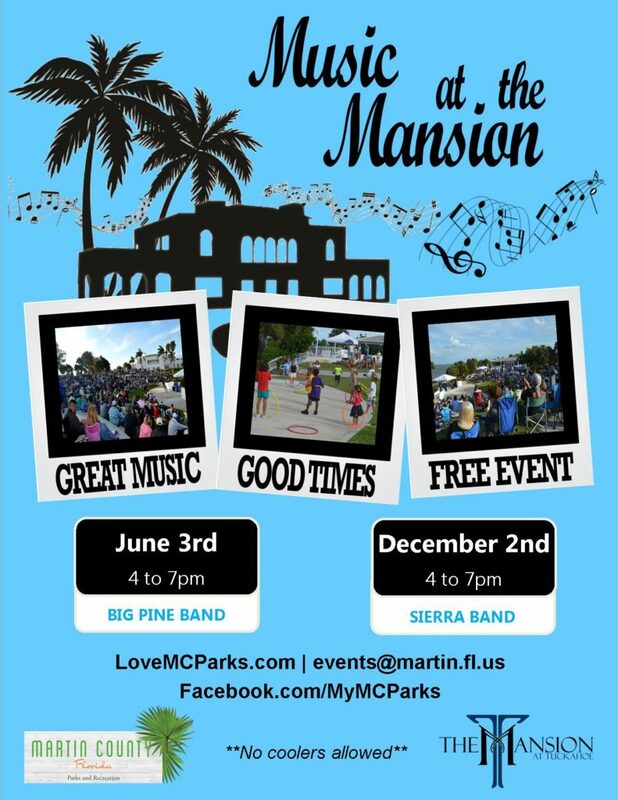 Invite family, friends, neighbors and everyone you know to come and enjoy a great performance from The Big Pine Band right in front of the Indian River Lagoon!! Admission to the concert is FREE and to make a great event even better, we will have FREE kids activities to keep the little ones entertained! Food and beverage vendors will be on site ready to satisfy all your cravings!